I use this search modifier most often when I’m looking for information that I think is probably in PDF format. As an example, I often get email messages from Hubspot offering some sort of White paper that catches my eye. But they often want me to fill out a lead capture form (which I’ve done several times before so they already have me in their database!). Lo and behold, right there on the first page of search results is a link to the very eBook/White paper I’m looking for in PDF format. It provides me with “back door” access to download the PDF directly and circumvent their lead capture form. My team at Juice Marketing also uses this technique when we’re doing research for the Sage Product Newsletters we publish because most of the meaningful information we’re looking for is contained in PDF documents (product user guides, Sage White papers, etc). Using filetype:PDF filters out all those HTML web pages with thin, salesy content that’s search-optimized and almost always going to dominate the first several pages of search results. 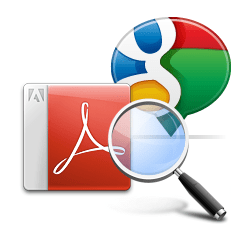 So rather than clicking several pages and sifting through all that noise, filetype:PDF instructs Google to serve up the good stuff and put it front and center on the first few pages. You can do this for white papers, price sheets, eBooks, published research findings, user guides for ERP software, and just about any other PDF that’s often buried deep on a website and hard to find or hidden behind a lead capture form. What are some of your favorite Google search tips? Also nice is mousing over the right of each selection to preview the PDF before clicking on it. Great point Mike. Site: is very useful if you’re looking for PDFs that you know are on a certain domain. Thanks for the additional tip.